Co-captain attackman Dean Gibbons, a first-team All-Ivy honoree, led the Crimson with 59 points on the season, the ninth-highest all-time total in team history. His 30 goals were the second-highest on the team. 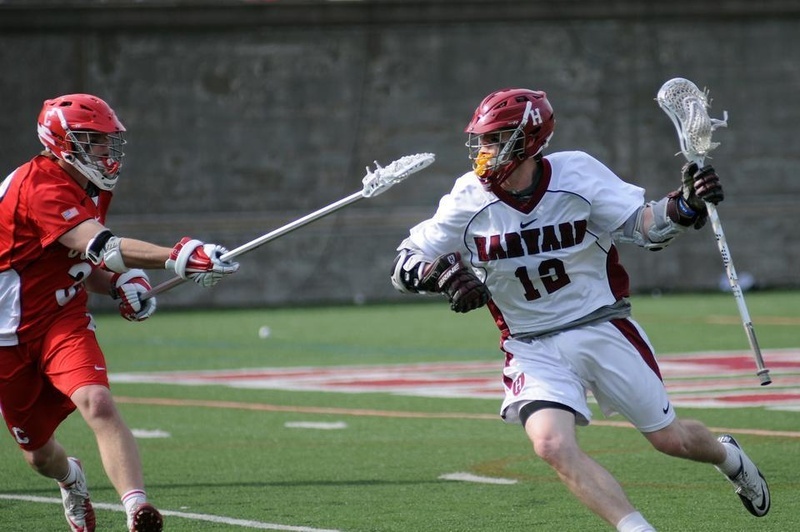 The 2011 season was filled with a myriad of highs and lows for Harvard men’s lacrosse. The team finished the year ranked No. 14 in the country, and its 10 wins were the most by a Crimson squad since 1998. But at the same time, the season left an aura of unfulfilled potential. And at the end of the day, Harvard continued to come up just short. After barely losing numerous games during the regular season, the Crimson finished runner-up in the Ivy League, and just missed out on an at-large bid to the NCAA Tournament. The year started with a home win over Canisius and a loss at Hofstra, the nation’s fifth-ranked team at the time. Harvard then swept three consecutive home games against then-No. 20 Georgetown, Bellarmine, and Holy Cross, and won a big road contest at Brown. At 5-1 and ranked No. 17 in the country, the Crimson was off to its best start since 2000. Then came the mid-season swoon. Harvard lost a heartbreaker at the buzzer to Dartmouth, and after a comeback victory over then-No. 16 UMass, the team dropped two more one-goal games in succession—12-11 to Albany and 13-12 to then-No. 6 Cornell—blowing late leads in each. After beating Quinnipiac, the Crimson then suffered its most devastating defeat yet, a 7-6 loss in double overtime to then-No. 15 Penn. But at the end of the season, Harvard turned it on again, emerging victorious in must-win Ivy contests at Princeton and versus then-No. 14 Yale on senior day to earn the third seed in the Ancient Eight tournament. In the tournament’s first round, the Crimson got its revenge on the Quakers, dominating then-No. 15 Penn en route to a 12-8 win. But in the championship at No. 2 Cornell, Harvard fell apart in the third quarter and couldn’t recover, losing by a score of 15-6. With a win in any of its one-loss Ivy defeats, the Crimson would have likely earned an at-large bid to the 16-team NCAA Tournament. Instead, Harvard ended up widely considered to be the “last team out,” and the season was suddenly over. But on the whole, it was a successful first year for rookie coach Chris Wojcik ’96, who took the reins of the Crimson after serving as an assistant at Penn and brought a new, fast-paced offensive system with him.